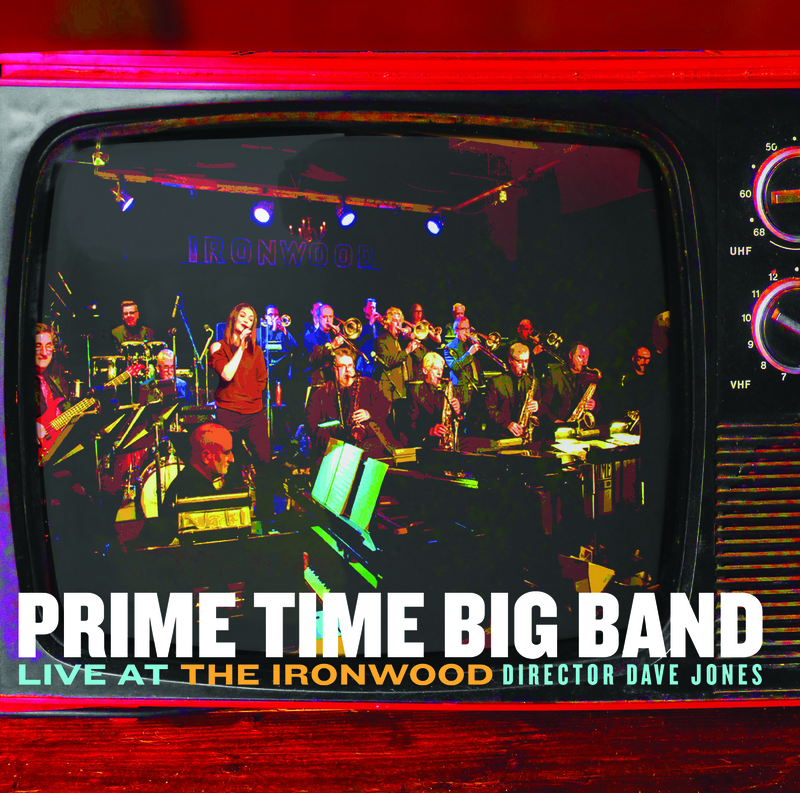 Prime Time Big Band: Live at the Ironwood CD is here! It’s finally here: Prime Time Big Band is excited to share its first-ever live recording – Prime Time Big Band: Live at the Ironwood. Purchase online at Chronograph Records or get your CD in person at any of our live performances at the Ironwood. Recorded in front of a live audience inside the historic Ironwood Stage and Grill, the big band jazz CD features classic tunes as well as music from two of Canada’s most noteworthy composers. JUNO-nominated producer Kodi Hutchinson – award-winning jazz bassist, CKUA radio host and creative force behind Chronograph Records and JazzYYC, is the album’s producer. Paul Johnston lends his talent as engineer. Fans can attend the CD launch party featuring a live performance of the tunes Saturday, Oct. 7, 2017. Prime Time Big Band is celebrating its 22nd year and boasts the city’s most celebrated and respected jazz musicians led by Dave Jones. The band is one of Canada’s only regularly performing big bands and has called the Ironwood Stage and Grill home for the past 17 years, playing alternate Saturdays for the wildly popular Big Band Brunch. Band director Dave Jones says the time is right for a live recording. With its top-tier performers, Prime Time is definitely in its prime. Recording a 20-member ensemble, including vocalist Deanne Matley, would be challenging enough in a studio setting. But recording live off the floor in a historic 150-seat club? It’s a daunting task not for the faint of heart. “It’s definitely a higher rung on the ladder. Bands need musical goals, and recording preserves their performance when they’re at the top of their game,” said Jones. The CD features all original arrangements which have never before been recorded. The band enlisted two of Western Canada’s most famous composers and arrangers to contribute to Live at the Ironwood. Commissions from Fred Stride and Allan Gilliland will make this recording truly noteworthy and distinctly Canadian. Vancouver’s Stride penned Prime Time and Lado a Lado (Side by Side). Stride wrote selections for the Juno Award-winning Tommy Banks at The Montreaux Jazz Festival. Alberta-based Gilliland’s four-part The Alberta Suite was composed and arranged for the band. And not forgotten is the band’s signature encore swing tune, Sing, Sing, Sing. Jones says he’s more than pleased to include the fan favourite, only better: the song is arranged by Gilliland.